I have two very complex little girls, Mr has nicknamed them Toil (nearly 4) and Trouble (age 2). I am forever trying to find the right strategy to figure them out, the right book that will unlock how they tick, the right personality profile to define them. I am on parenting websites daily trying to find new tactics and inspiration. One day I am trying to figure out their love language, the next whether they are melancholy or sanguine (I have a theory all two-year olds are choleric). The next I am wondering whether it is too early to give them a Myers-Briggs and see how they go. 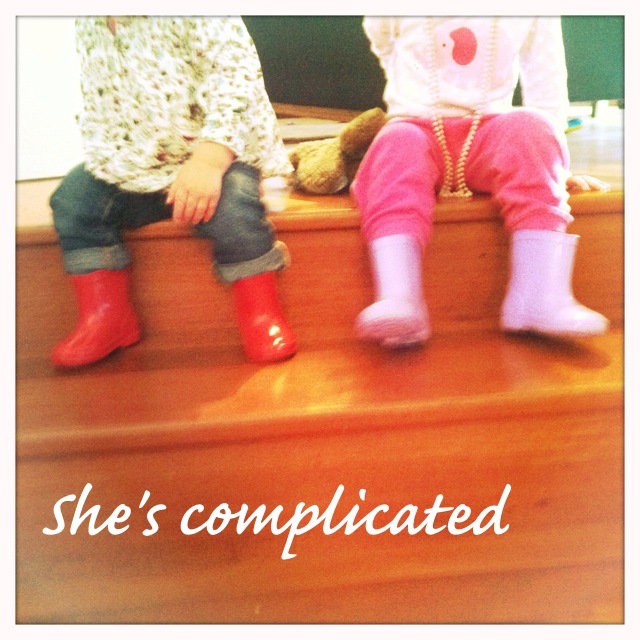 It is easier for me if I can define these two little complex beings. Push buttons and get set responses, try strategy A and get behaviour B. Plug everything in like a robot. But they are not robots, they are a wonderful mix up of my genes and Mr’s. With a fair bit of their grandparents thrown in for good measure and just a dash of absolute uniqueness from God. This year has been a year of discovery for me. A year of understanding things about myself. A year of growing further into the person I am becoming. I have discovered that I need to work more on my leadership skills. I have finally accepted my own creativity and I’m working on developing that. I have worked through some unresolved issues and come out the other side stronger and with a desire to help others in similar situations. I am 38 and I have not yet got myself totally figured out. And yet I want to be able to do that with my girls. How sad would it to be to say that at the ages of 2 and 4, I had them totally figured out, that there was nothing left to learn from, or about, these wonderful beings. It turns out that they are not easily defined, they’re complicated, and that’s the way I like it.